We are expanding our popular line of SubstiTUBE T8 lamps to be BAA compliant! The bollard series offers an energy saving alternative to traditional lighting. With a sleek industrial look, the SYLVANIA Bulkhead is ideal in retrofit applications for illuminating building exteriors, outdoor corridors, walkways, and stairwells. The Bullet Floodlight luminaires are environmentally preferable LED alternatives to traditional HID luminaires, offering up to 85% in energy savings. 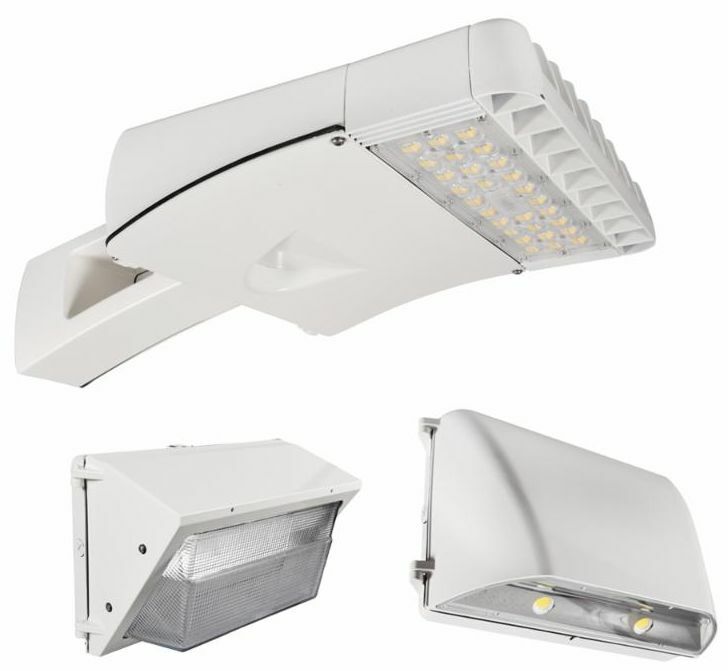 The Dusk to Dawn luminaire have an easy to install traditional, compact, lightweight design. The Jelly Jar comes in three mounting types (pendant, wall, and ceiling mount). It is ideal for illuminating building exteriors, outdoor corridors, walkways, and stairwells. This strip is suitable for outdoor use year-round for applications for decks, patios, path, countour, landscape lighting, and much more! Introducing the long awaited 8-foot version of our popular LEDlescent line of ballast-free tubes! The Small Wall Pack is a compact non-cutoff luminaire that is available with optional photo control. Ideal in place of traditional luminaires, or as new installations, the Square Light series is offered with four mounting options for illuminating building exteriors, outdoor corridors, canopies, and stairwells. Has a full glass design with a silver bowl mirror coating that redirects light back into the fixture, reducing glare and preventing light from shining directly onto the surface below. With a similar look-and-feel to traditional glass bulbs, these lamps provide reduced energy and maintenance. Our A21 and BR30 grow lamps offer the perfect blend of red and blue light on wavelength spectrum, maximizing its use across all stages of plant growth from germination to seed spreading. Give your projects a unique look-and-feel with our ULTRA LED™ Specialty Vintage Lamps. Features a full-glass design and an exposed, spiral filament that deliver a look and feel that is reminiscent of classic incandescent bulbs. The SYLVANIA UltraLED 8-10" Quad downlight luminaire is an eight inch LED recessed downlight kit. With lower wattage options, these panels have an LPW of 125, making them DLC Premium rated and offering you incredible savings through local utility rebates. Introducing our SYLVANIA UltraLED Linear High Bay! Doorkits make retrofitting any existing troffers easy and simple. Perfect for illuminating offices, retail spaces, hallways.